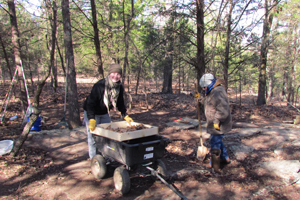 Research at Camp Halsey is part of a long-term collaborative project between the University of Central Arkansas and the Faulkner County Museum to map, evaluate, and document historical and archaeological resources in Faulkner County. 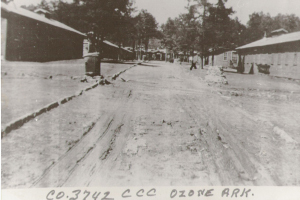 Camp Halsey is located a few miles east of Greenbrier in the northeast corner of Faulkner County. 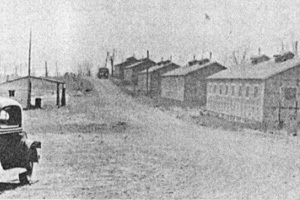 The location is about one mile east of Woolly Hollow State Park and Lake Bennett, of which the camp enrollees built the earthen dam. The small community of Centerville is located about one mile to the west of the camp. Research at Camp Halsey is underway as an annual field school offered at the University of Central Arkansas (UCA). Emphasis is on the inclusion of pedagogy and public archaeology where students are instructed in mapping, survey, artifact collection, lab work, and collecting, organizing, and researching primary archival documents. President Franklin Delano Roosevelt’s Civilian Conservation Corps (CCC) was the result of Senate Bill 8.598, signed into law on March 31, 1933. Between 1933 and 1942, seventy-seven companies were established in Arkansas and were located throughout the state.